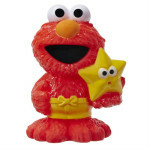 Elmo is one of Sesame Street’s most lovable characters, and he’s also a great bath time buddy. With his extremely positive demeanor and can-do attitude, along with his affinity for getting clean , Elmo can actually be a great role model for helping your little one take a bath and have fun while doing it. 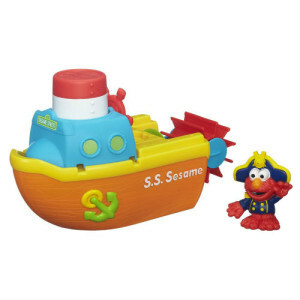 This Sesame Street Elmo Bath Adventure Steamboat by Playskool is the top-rated Elmo bath toy currently, featuring a 5 toy in 1 design that includes an adorable Captain Elmo at the helm of the ship. On top of that, kids just tend to love Elmo. He is one of, if not the most, popular Sesame Street characters among children, as evidenced in part by his involvement in one of the biggest Christmas toy crazes in history. His giant smile and large friendly eyes make him a friendly face children feel comfortable with, and that makes Elmo a great bath toy as well. 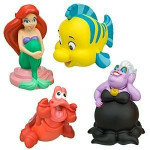 On this page we have rounded up and examined some of the top-rated and most popular Elmo bath toys, as well as a few other Elmo-themed bath accessories. The top-rated Elmo bath toy is the Sesame Street Bath Adventure Steamboat seen to the right. 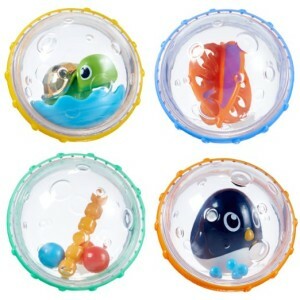 We examine that toy in more detail below, along with other Elmo bath toys that include bath squirters, silly swimmers, and bath time story books. Below we have put together a table comparing the best Elmo bath toys, with a few other Elmo-themed bath accessories thrown in, before going into more detail on some of the best items below that. 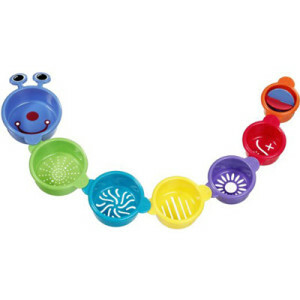 Hopefully the comparison chart above has given you a few ideas about which Elmo bath toys are right for your baby. If you’re still undecided, read on and we will explore some of the top options in even more detail below. 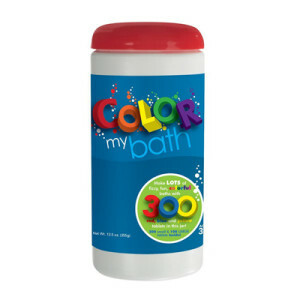 What do you get when you cross one of the most popular forms of bath toys, boat bath toys, with one of the most popular children’s characters in Elmo? One of the coolest Elmo bath toys you can imagine! 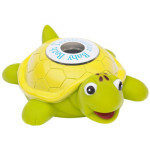 Captain Elmo commands this adorable and versatile steamboat toy from Playskool that has earned an amazing 4.8-star average rating from parents so far on Amazon. 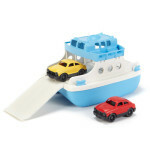 This boat is listed as a 5-in-1 toy because the different pieces of the boat come off to perform their own fun games. The paddle wheel on the back of the steamboat, for example, has a suction cup that can be attached to the wall so your baby can pour water over it, spinning it around and around as a fun game all on its own. 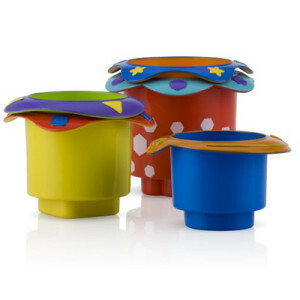 The smoke stack is a water strainer, the cabin scoops and pours, the hull floats, and Captain Elmo is a little squirt toy! Designed for children 18 months and older, this Elmo boat bath toy has been resoundingly approved by parents in its reviews. When it comes to getting the little ones excited, it’s hard to go wrong with Elmo. And with this boat in particular there sure is a lot of fun packed into one toy. 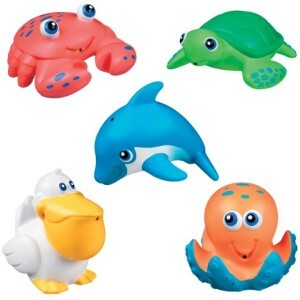 Every kid loves bath squirters, and fortunately for those parents looking for Elmo bath toys there is this great set of Sesame Street Bath Squirters. 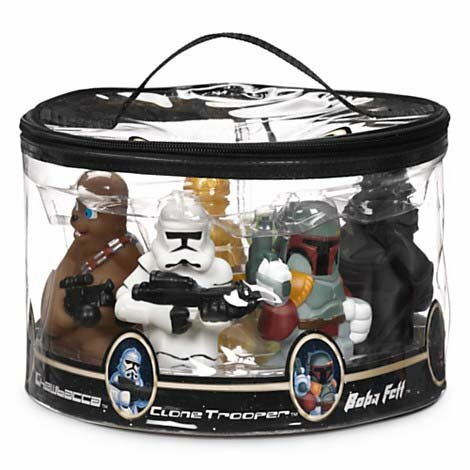 This set comes with little Elmo, little Cookie Monster, and little Ernie all together, but there is also a product listing here with only a little Elmo bath squirter for about half the price. Because you can get the set of 3 for only twice as much as just the Elmo, we’ve featured the set for those parents interested in Elmo bath toys. The other consideration is that the set of 3 is a Prime product on Amazon, meaning it ships for free in two days if you are a Prime member, whereas the solo Elmo is an Add-on Item, meaning it only ships for free if you order other items totaling at least $25. 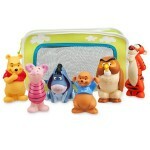 This set of 2 silly swimmers comes with Cookie Monster in addition to Elmo. 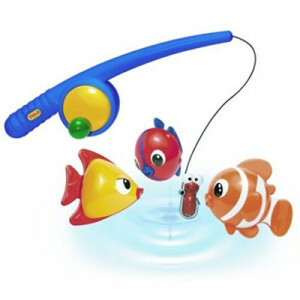 It doesn’t have a lot of reviews, and many of the reviews it does have mention that the toy doesn’t really swim on its own, so don’t expect it to fly around the tub or anything. 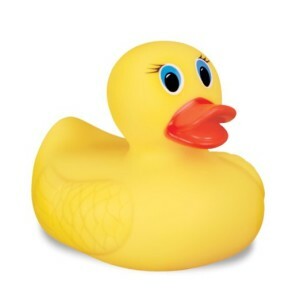 However other reviews mention this particular Elmo bath toy can be a bit hard to find, and as a hydrodynamic cute little toy that your child can swim through the tub themselves, it can be a solid purchase. 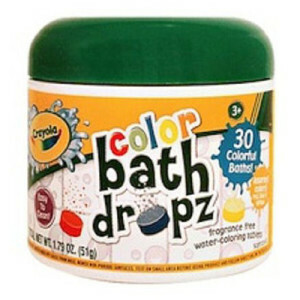 Another classic bath time toy for little ones is the waterproof book, and Sesame Street has several great sets. 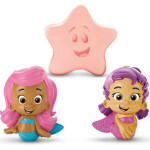 These waterproof bath time books are made from a soft stain-resistant material that are easy for your child to flip through and develop tactile skills with while being visually stimulated by the words and pictures no matter their age. The set of books shown here is all Elmo, as he embarks on becoming a soccer player, musician, and ballet dancer with some of his pals. While none of them are specifically about bath time, Sesame Street has another set of bath time books here that, while only one book features Elmo, two are about cleaning up in the tub and the third is about bath time. While this page is primarily about Elmo bath toys, chances are you may be interested in an Elmo-themed bath accessory or two, and this hooded towel is a great option. At 27 inches x 30 inches it is quite large as far as baby bath towels go, a pretty standard size for the hooded towel segment, and is the perfect size for 1 and 2 year olds. This Elmo hooded towel is made from woven terry cloth which makes it soft and extra absorbent. This towel is a vibrant red color, with the trademark cute Elmo smile, big eyes, and big nose. Wrapping up your little one in this hooded towel is like wrapping them up in a big Elmo hug!